There’s a lot to do when the weather is right: family picnics, working on your tan at the beach, a homerun derby on the softball field, endless hours on the golf course, or lounging in your backyard hammock. Unfortunately, too much fun in the sun can be dangerous. 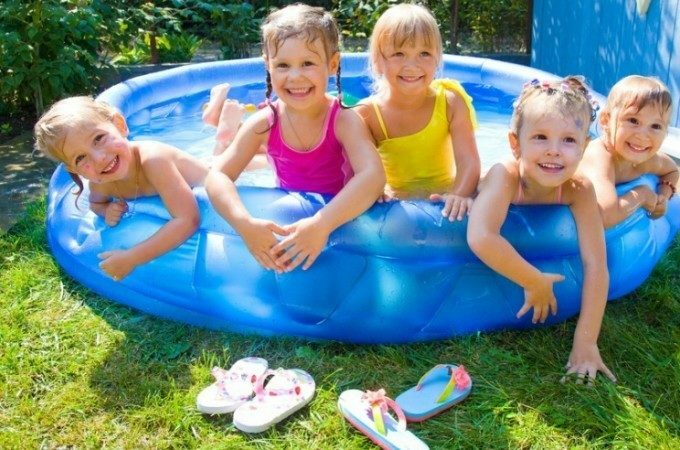 Excessive heat exposure can cause dehydration, which in turn can cause dangerous conditions like heat cramps, heat exhaustion, and heat stroke (also called sunstroke). No matter what your plans are this summer, you won’t want to miss any of them. Combating the toll of the heat and sun on your body will keep you healthy and active all summer long. Try a few of these simple precautions, and you’ll still be going strong as the leaves start to turn. The white linen shirt every male movie star wears on the beach isn’t just fashionably conscious; it’s also intelligent for hot, sunny days. Dark clothing absorbs more heat, and tight clothes don’t let sweat — your body’s natural cooling system — evaporate. Sunglasses are chic and functional. They prevent harmful ultraviolet (UV) rays from scorching your corneas and protect your eyes for many more summers to come. Choose sunglasses that block 90 to 100 percent of UV rays. prevents UV rays from hitting the sensitive spots on your face and keeps your skin looking young and wrinkle-free. Nothing knocks good days off a summer calendar like a nasty sunburn. When outdoors, use sunscreen with an SPF rating of at least 15. 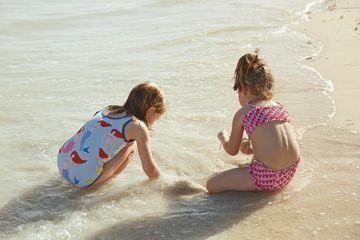 Use a higher-rated, waterproof sunscreen if you’ll be poolside or out on the beach. 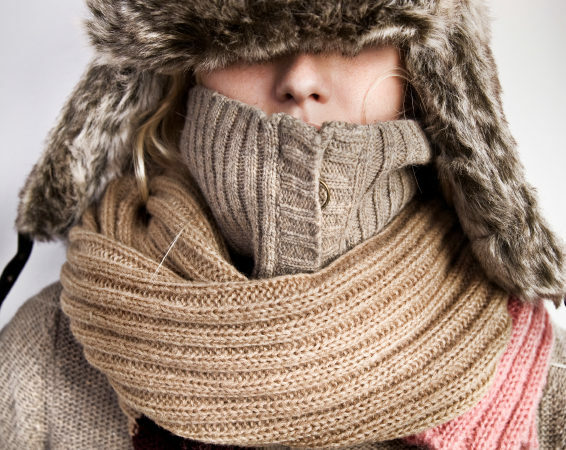 Don’t forget to cover areas that burn easily: nose, ears, shoulders, and back of the neck. Don’t wait until you’re thirsty! Drink water throughout the day to prevent dehydration or over exhaustion. Use the color of your urine to guide if you’re hydrated enough — the clearer the better. While an ice cold cocktail — complete with a little paper umbrella — might sound good on the beach, it won’t be as refreshing to your body. That’s because alcohol only dehydrates you more. If you can’t barbecue without a brew, drink a bottle of water between each alcoholic beverage to stay hydrated. Fruits and vegetables are easy to digest and often high in water content. Salads and other dishes rich in seasonal produce will keep you feeling light and hydrated. Popular in w arm climates, the tingling feeling and accompanying sweat caused by spicy foods has a purpose; the sweat actually cools your body down. Fat takes longer for your body to digest and carries a higher salt content, which can add extra strain on your body when you need it maximized for efficiency. Avoid peak hours of sunlight when the temperatures and UV rays are at their highest, normally between 10 a.m. and 2 p.m. That’s the best time to head inside, get food and water, let your body cool down, and maybe even take a nap. When heat and humidity are at their highest, it’s never a bad time to take a break. Water sports are especially tricky because you can easily become overheated without realizing it. When in doubt, take a breather. If you live in an area where summer heat can become dangerous, pay close attention to any heat-related warnings. When it’s dangerous, stay inside with the A/C or fan going. If it’s not cool enough at home, find a cooling station, usually set up at public libraries and other buildings. If you must be outside, keep your activities close to a shady spot. It can provide enough of a cool down to keep you safe. Even a small drop in temperature can make a big difference. When it’s hot and you’re active, stay close to restaurants, convenience stores, or any other place that can offer cold temperatures and beverages should you need them in an emergency. If you’re at the beach or pool, the cool water offers great relief from the heat. Your eyes are watery, your nose is itchy and you can’t stop sneezing – welcome to springtime allergy season. While spring ushers in the green leaves and warmer weather, for some people it means a months-long stretch of annoying symptoms. About 20 to 30 per cent of Canadians suffer from some kind of seasonal allergy. “Springtime is easily the worst season when it comes to allergies. 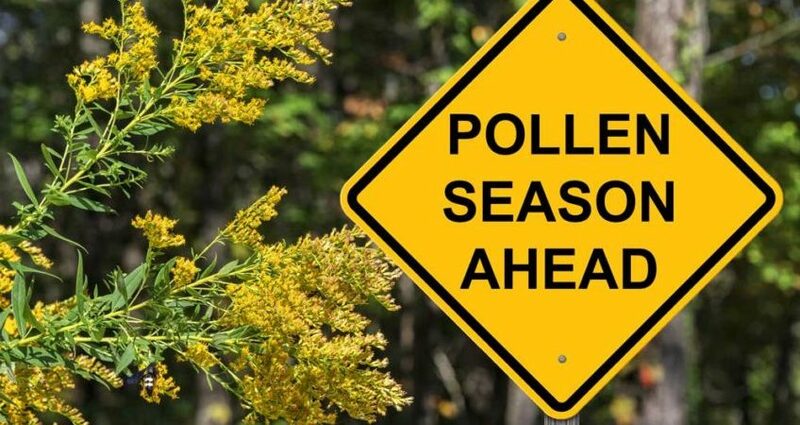 Which pollens are prevalent differs from province to province but the first seasonal allergy to pop up is tree pollen which could start as early as March,” allergist Dr. David Fischer told Global News. He’s a Western University professor and president of the Canadian Society of Allergy and Clinical Immunology. Sometimes, Canadians don’t even know they’re grappling with allergies. 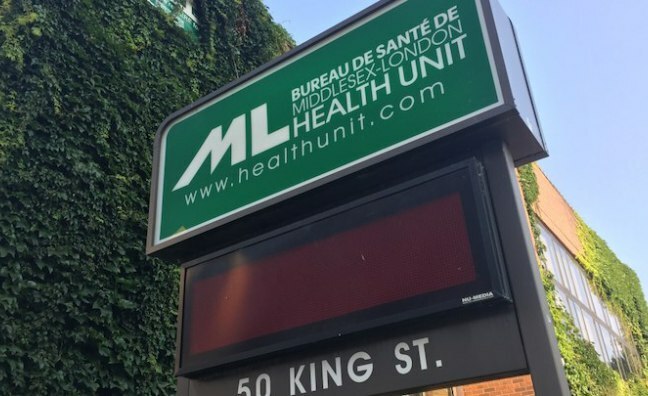 Instead, they think they’re dealing with a cold or feeling under the weather, according to Dr. Susan Waserman, an allergist and McMaster University professor. “It’s like having a bad cold that’s persistent. You don’t have a fever and aches but you feel congested and sneezy. It interferes with your sleep, concentration and performance, so in many ways it affects your quality of life,” she told Global News. We asked the experts what you need to know about the upcoming allergy season and how to combat those pesky symptoms. What are the most common allergies in the spring? Because temperatures vary across the country, allergy season will start at different times depending on how each province is faring. Across the board, tree pollen allergies start first, according to Fischer. It could start in late March and move into June for Ontario, Quebec and Atlantic Canada, while B.C. has the “worst” tree pollen season kicking off as early as February and into June, he said. After that, grass and ragweed pollens start up in August. “This will vary depending on where you live, moisture levels and temperature – these all determine how much pollen you’re getting,” Waserman said. 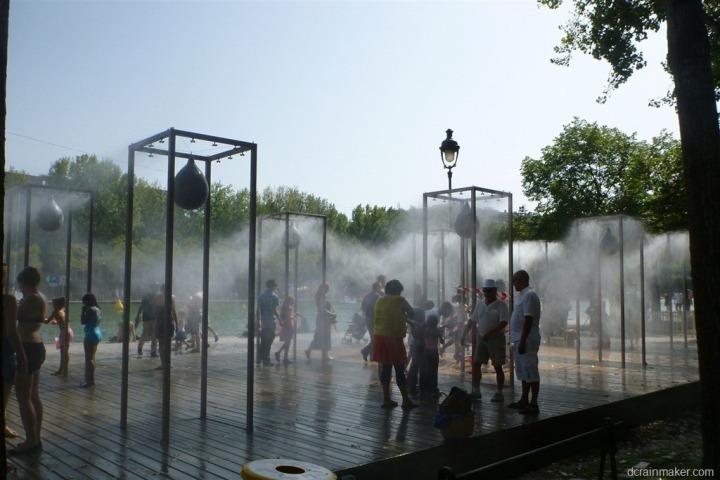 Moulds grow quickly in heat and high humidity. 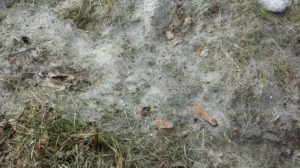 Believe it or not, it’s not just what you think of in attics or basements – mould spores crop up on your lawn outside after snow melts and the leftover grass from when you mowed last autumn resurfaces. Snow mould in the spring. Watch for this as snow melts, it causes allergies. “When people think of mould, they think of the black stuff on walls, but mould spore counts are incredibly high outside too,” Fischer said. Pollen, from trees, grass or weeds, is released into the air to fertilize other plants. But sometimes they get into your nose and nasal passage. If you’re allergic, your immune system kicks in thinking the pollen is a hazard to your body. This is why your body sends out histamines into your blood – that’s when your nose starts running and your eyes get watery as your body tries to expel what it thinks is a danger. “It’s a misfiring of your immune system by turning something innocuous into something it wants to fight off drastically,” Waserman said. It’s genetic, too. If one or both of your parents has an allergy, you’ll probably end up with similar symptoms too. Symptoms can start as early as childhood, in teenage years or even as an adult. If you’re not sure, simply get referred to an allergist for testing. You will be screened for common allergens, such as various types of pollens, cat and dog fur, dust mites, mould spores and more. How can we tell if we’re in for a bad season? An early and hot spring is a bad sign for allergy sufferers, the experts warned. “Last year’s grass season was probably the worst I can remember. The pollen conditions were bad – it was a very hot and humid summer combined with wind. That’s the worst scenario for pollen sufferers,” Fischer said. It also didn’t rain for some time. Rain washes pollen away, but pollen counts can soar after rainfall. On days without wind, airborne allergies are grounded. Once the wind picks up again, pollen counts in the air surge. Geography makes a difference as well: Ontario has the most ragweed, while B.C. sees the most tree pollen. There are a handful of ways you can safeguard yourself to avoid a nasty few months of allergies. Over-the-counter-meds: Antihistamines help to tame symptoms, but make sure you’re seeking out options like Reactine, Aerius, or Allegra, Fischer said. Try to avoid Benadryl or other medications that come with side effects, such as drowsiness. Prescription medications: If needed, your doctor or allergist can prescribe eye drops, nasal sprays or other medicines to help alleviate symptoms. Allergy shots: Those with severe allergies receive multiple injections – sometimes weekly – to tame their allergies. Environmental factors: You can lessen your risk of encountering severe allergies by being mindful of your surroundings. For starters, don’t dry your clothes outside – that could bring in pollen that’ll trigger your symptoms. 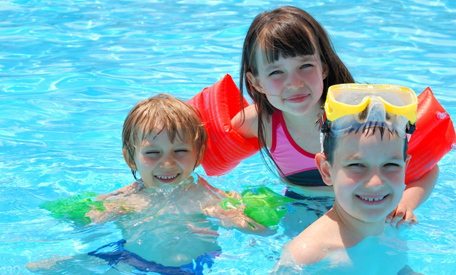 If you’re going swimming over the summer in a river or pond, wear goggles and nose clips to keep any allergens out of the way. Once you’re out of the water, rinse off. When you’re in the car, keep your windows rolled up and the air condition running, Waserman said. Try to keep your windows closed when you’re at home, too. But don’t shutter yourself in during the warm months, Waserman said. “Some people may choose not to go outdoors when [pollen] counts are high, but it’s hard to watch the weather channel and live life like that,” Waserman said. “Pollen allergies are a fact of life in this part of the world. We have good things out there now to help you stay prepared,” she said. 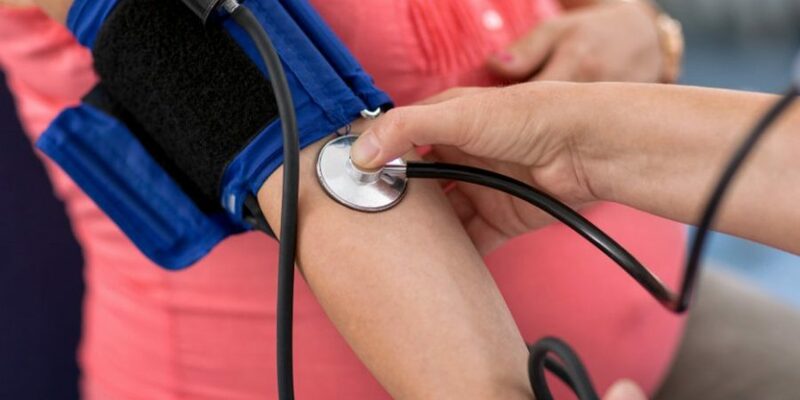 The nation’s heart experts tightened the guidelines for high blood pressure Monday, a change that will sharply increase the number of U.S. adults considered hypertensive in the hope that they, and their doctors, will address the deadly condition sooner. Acting for the first time in 14 years, the American Heart Association and the American College of Cardiology redefined high blood pressure as a reading of 130 over 80, down from 140 over 90. The change means that 46 per cent of U.S. adults, many of them under the age of 45, now will be considered hypertensive. Under the previous guideline, 32 per cent of U.S. adults had high blood pressure. But the report’s authors predicted that relatively few of those who fall into the new hypertensive category will need medication. Rather, they hope, that many found with the early stages of the condition will be able to address it through lifestyle changes such as improving their diet, getting more exercise, consuming less alcohol and sodium and lowering stress. The new guidelines will be influential in clinical practice, with most health care providers expected to follow the research-based recommendations from leading voices in cardiovascular medicine. In addition to tightening the definition of high blood pressure, the new report does away with the old category of “pre-hypertension,” which was defined as a top (systolic) reading of 120 to 139 or a bottom (diastolic) number between 80 and 89. Instead, the guidelines create new categories of blood pressure, including “elevated,” “Stage 1 and 2 hypertension,” and “hypertensive crisis,” each characterized by various blood pressure readings. Normal blood pressure still will be considered 120 over 80. In 2010, high blood pressure was the leading cause of death worldwide and the second-leading cause of preventable death in the United States, after cigarette smoking. Hypertension leads to cardiovascular disease, strokes, severe kidney disease and other maladies that kill millions of Americans every year. Blood pressure is affected by a wide variety of factors including genetics, age, diet, exercise, stress and other diseases such as diabetes. Men are more likely to have high blood pressure than women and blacks are more likely than whites. Many people are unaware that they have the condition because there are no symptoms. Much of the data to support the update came from Systolic Blood Pressure Intervention Trial or SPRINT trial, a large-scale study of more than 9,000 people sponsored by the National Heart, Lung, and Blood Institute. When the results were first presented in 2015, they shook many assumptions about blood pressure management. The study showed that bringing blood pressure below 120 versus the recommended 140 to 150 could reduce the risk of heart attack and stroke. While that research only included people 50 and older and at high risk for heart problems, subsequent studies have shown this benefit appears to extend to younger people as well, said Chazal who is medical director at the Lee Memorial Health System in Fort Myers, Fla. Calling hypertension “the world’s most under-addressed preventable health problem,” Frieden said that, ironically, one of the reasons treatment has been slow to catch on in some parts of the world is because the medications are not as profitable as many others. The four main classes of drugs for blood pressure have generic versions and can be as cheap as a few dollars a month. Another barrier is what he called “therapeutic inertia,” the reluctance of some physicians and patients to try medication when a person with high blood pressure appears to be otherwise healthy. For Snow, arthritis isn’t just a personal problem. As vice president for community involvement for the Colorado Arthritis Foundation, she travels the state educating others about the condition. So she’s aware that there’s very little scientific evidence to support her own experience, and that of the legions of others with arthritis who feel worse when the weather is frightful. Snow, who moved from Birmingham, Alabama, to Denver, says she loves being active in the Colorado weather, but knows it’s important to wear lots of layers so she can control her comfort level when temperatures shift dramatically during the day. For example, she layers a few pairs of gloves on her hands and can peel them off, one by one, as needed. “I heard that ‘O’ word and I thought, well, I don’t feel like I’m obese. I was always watching my weight by how my clothes fit,” she says. At that time, she comfortably wore a size 14. But she committed to losing weight and now clocks in at about 158 pounds and wears a size 10. She credits the more physically active culture of Colorado for some of her success. “There’s always someone to walk with,” she says. While it’s understandable to want to avoid winter chill, people with joint pain should still stay active. The less sedentary you are, the better your physical function, according to a study of people with knee arthritis published in Arthritis Care & Research in March 2015. Come up with an indoor exercise plan. Snow has a treadmill and an elliptical trainer at home. Libman recommends walking the mall. Low levels of vitamin D might play a role in how sensitive you are to arthritis pain, according to research in the September 2015 issue of Pain Management. Being deficient in vitamin D also raises the risk for osteoporosis, Libman warns. You’re less likely to get enough vitamin D from its natural source, sunlight, in the winter, so talk to your doctor about your need for supplements or vitamin D-fortified foods. Ontario offers a number of programs to help people with diabetes improve their quality of life and avoid complications. If not treated or properly managed, diabetes can cause a number of serious health problems. These include heart disease and stroke, kidney disease, eye disease, erectile dysfunction (impotence), and nerve damage. The Diabetes and You Tool Kit – A diabetes tutorial with easy-to understand fact sheets and short videos to help you manage your disease. You can order the Kit through Service Ontario. Diabetes fact sheets, organized by topics are available to download in 13 languages. Watch these diabetes videos for tips from experts to help you lead a healthier life. Who is more likely to get diabetes? You can get diabetes even if you don’t have any of the common risk factors in the list above. If you have symptoms like these, talk to your health care provider. The flu virus circulates all around the world, and evolves very quickly. So quickly, in fact, that new strains of the flu are constantly emerging. Every year, scientists and health experts create a new flu vaccine designed to fight the most prevalent flu strains. This means old vaccines won’t properly protect you against this year’s influenza virus.2 You need to get the best protection for this current flu season. Fall can bring on more than beautiful colours, cooler temperatures and shorter days – the shift in weather can lead to a dip in mood and energy. Routines take over and there’s less time for outdoor activities and down time. 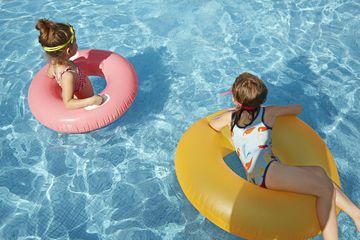 Warm, sunny summer days are replaced by stress-inducing traffic jams, mood-bashing deadlines and ferrying kids to endless activities. The mere thought of upcoming wintry weather puts a chill on autumn. There just ain’t no sunshine when the sun is gone! Thankfully, for most people it won’t reach a diagnosable Seasonal Affective Disorder (SAD) level – a mood disorder related to the change in seasons – but there are definite changes that happen in the fall to impact our energy, mood, metabolism and sleep habits. What does suffer is our serotonin levels, the happy hormone that is naturally produced more when we have warmer weather and more sun exposure. These naturally begin to decline and melatonin, the hormone that controls our sleep, increases, which can lead to sleeping more and a decreased mood, says Turner, a naturopathic doctor at drnatashaturner.com and author of The Hormone Boost. And although we sleep more in October than other months, the quality and depth of sleep suffer, so you may end up feeling groggy during the day. “This is because the shorter days equal less exposure to sunlight, so a simple solution is to use a sunlamp in the morning,” says Turner. Consider St. John’s Wort to help boost serotonin, and make sure you’re getting enough vitamin D.
Boost your metabolism with a good breakfast, including 30 grams of protein and forgoing starchy carbohydrates like toast, cereal or bagels. Go for two eggs with goat cheese and tomatoes; one natural chicken sausage with one egg; a fruit free smoothie including chocolate whey protein, hemp hearts, baby spinach, cinnamon and coconut milk. Get set for your waistline to widen. You may find yourself more vulnerable to the call of comfort foods to help boost serotonin levels back to what feels normal, but since that increase in appetite generally coincides with less daylight to exercise, seasonal weight gain is common, says Turner. There’s more: Studies directly link falling temperatures and increased intensity of joint pain. Plus it can all be one big headache – a fall in barometer pressure, a sudden increase in humidity or drop in temperatures can trigger migraines. Finally, get set for fall allergy symptoms to flourish. As the seasons change, ragweed plants spew billions of pollen grains until November or the first frost of the year. Hay fever can impact mood and activity so be sure to treat symptoms with medications. Nasal symptoms are typically treated with an over-the-counter non-drowsy oral antihistamine or a steroid nasal spray such as Flonase. · Get outside. Studies show that just a few minutes of fresh air can lift your spirits and mood. A study published in the Journal of Consumer Psychology revealed that peo ple felt more positive in outdoor light so head out for a quick walk on your lunch hour. · Find some fall-themed activities and make a move on pumpkin picking, corn mazes and fall hikes. Even when it’s cold and rainy, you’ll still get some exposure to UV rays, which can help boost your mood and regulate your body’s circadian rhythm. · Peel away the blues: The smell of this citrus fruit is one of the most mood-enhancing around, according to a study published in Chemical Sciences. So grab yourself some Florida sunshine – orange you glad you know this! · Hack into your happy chemicals by moving your body. Research by the British Journal of Sports Medicine reveals that a mere 20 minutes of physical activity can impact mood. · Get rid of clutter. Visual chaos may seem harmless but the disarray, disorganization and mess is stressful and brings people down. Studies show that when people are in aesthetically pleasing, organized and uncluttered surroundings, they feel more relaxed and content. · Focus on what’s going well. It’s impossible to be unhappy when you’re feeling grateful. Before you go to sleep every night, write down in a journal three things that you appreciated most about the day. You’ll fall asleep on a positive note and will be more likely to wake up feeling optimistic about the day ahead. Keep Halloween candy at bay. Care for teeth the right way – brush with a flouride toothpaste each and every day. 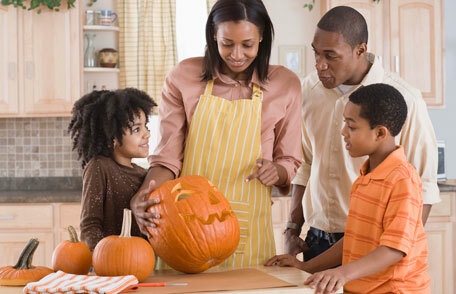 Don’t get spooked by the flu, wash your hands frequently and get a flu vaccine, too! Everyone 6 months and older should get a flu vaccine each year. Get vaccinated to protect yourself and your loved ones and learn about good health habitsthat can help stop germs. Sleep is important – even on Halloween! Adults need 7-8 hours each night. It’s best for staying healthy and helping the disease fight!